Can I truly ecap the amazingness that was NAIBA-Con 2008 in a blog post on a day when I have a million errands to run? Nay, I cannot. But I can give you the highlights. THE EARLY BIRD SUPPER: Brian Selznick (author of Hugo Cabret and more recently collaborator on The Runaway Dolls) is freakin' hilarious. He got co-author Ann Martin (of Babysitters Club fame) involved in a very silly scripted speech that had everyone's face hurting. Ask any bookseller who was there for his impression of a doll speaking into a microphone. THE EMERGING LEADERS COCKTAILS: There were so few of us, and Workman's sponsorship so generous, that we invited all the seasoned booksellers to join us young folks for after-dinner cocktails, which was actually awesome -- it's all about mentorship, after all. And some booksellers and I had a fascinating conversation with author John Scalzi about the Bechdel Rule. THE AFTERHOURS: Both Saturday and Sunday night I found myself staying up late and talking a mile a minute outside the hotel with fellow youthful nerds from the bookselling and publishing sides. There were boys there, and cigarettes (sorry, Mom!) so it felt a lot like high school speech and debate out of town trips where we tried to find shenanigans to get up to... except all we really wanted to do was satisfy our burning desire to talk about street dates, YA recommendations, the changing roles of women in publishing, and whatever Best Book Ever that we're reading right now... It's nice to be a grownup sometimes. And the talking to fellow booksellers is one of the most important parts of the show, whatever the age. THE YOGA: Without Susan Weis's morning yoga, I would not have been able to functionally participate in the day's programming after the previous night's afterhours. THE PROGRAMMING: Duh. The Store Self-Audit was a superhelpful way to analyze both my current bookstore and my future one, and some changes or changes of focus will be enacted as a result of it. The Pick of the Lists drew my attention to a bunch of titles I hadn't yet seen and will be handselling. And the IndieBound session hipped me to the joys of the new social networking aspect of the site, as well as the various ways folks are using the branding in their stores. All inspirational, all practical: change and experience, folks, right here in bookseller land. THE MEALS: Not the food, persay (convention hotels being what they are), but the interactions with authors at the Moveable Feast, the moving speeches from Morgan Entrekin and others at the awards dinner, and the talks with booksellers at every sit-down event. THE NOIR BAR: I got my Bronx Noir and Flipping Out books signed by their respective authors, then found myself in a fascinating conversation (that kept growing) about regional dialects: who stands "online" vs. "in line", who says "that needs fixed" even though they know it's incorrect, who reveals a Long Island or Southern or Midwestern accent when stressed. I know it's not 100% practical in business terms, but this is the stuff that you remember, and I was illuminated about my colleagues and my country (I was thinking all weekend of the fabulous book State by State, which has a similar effect). THE PUBLISHERS: The show floor was a sight to behold, as publishers corporate and indie, large and small, displayed the best of what they've got, and welcomed booksellers in the uniquely intimate atmosphere of a regional show. In addition to sponsoring meals and drinks, they shared with us their picks for what will sell in our particular stores, and chatted with us about what they love and what we love about bookselling. I got so many congratulations this weekend about that lil' ol Times article, often from people I barely know, and that was only the tip of the iceberg of the true cameraderie and caring between the publishing and bookselling sides of the aisle. put-together 23-year-old I know... Betty Bennett now of Sparta Bookstore, and her daughter Carolyn Bennett of BookStream, two denizens of one of the coolest families in bookselling and some of my favorite people... Susan Weis, the most inspiring Ayurveda afficionado AND savvy businesswoman... my McNally Jackson coworkers Erin, Katie, and Cheryl, whom I was grateful to get to know better as I saw them get inspired, too... Jonathan and Lucy of Talking Leaves in Buffalo, which embodies a good old tradition of bookselling and a smart awareness of new realities (and Lucy is a yente and one of the most generous and caring people I know)... Joe Drabyak of Chester County Books and Music, a source of vast and generous book knowledge and increasingly a character in murder mysteries (he always gets killed off early)... Henry Zook of Brooklyn's own BookCourt, who returned to the show after a long absence and was awesome to talk to about our own local issues... and about a million others (okay, a couple hundred), who spoke up in sessions, chatted at meals, said hi and congratulations when we passed on the show floor, offered advice, laughed at authors' jokes, shared passionate conversations over drinks, and opened up about what's working and not working, their triumphs and struggles, so that we can all benefit from our collective experience. It took me a long weekend to recover from all of this goodness, and I've still got a packet of information and ideas to share with my booksellers back at McNally Jackson (not to mention way too many good books to read. If you were at the show, thanks for sharing it with all of us -- see you next year! Because of the overwhelming Fort Greene community response (i.e., we've had more RSVPs than the venue could handle), we've decided to change the location of Tuesday night's bookstore kickoff party to accomodate more people at the event. The date and time of the party stay the same at Tuesday, September 16 from 7-9pm. Colson Whitehead will read one of his latest pieces at the party, and Jennifer Egan and Kate Christensen will be in attendance, as well as movers and shakers from the book industry and the Fort Greene community. And we've got the greenlight to make a really big announcement that brings the store closer to reality than ever! BAM (the Brooklyn Academy of Music) is a neighborhood and a city institution, and the Harvey lobby is a big beautiful space -- I'm so excited to be there! So adjust your travel accordingly, and feel free to bring friends and loved ones. See you at a fabulous party on Tuesday night! BookExpoCast: "What’s Hot, What’s Good, What’s Next in Graphic Novels"
This is a panel I sat on at BEA with others far more expert than I: Nick Smith, a librarian with the Pasadena Public Library, Atom Freeman, the extremely knowledgeable owner of Brave New World Comics in L.A. County, and Tom Flinn with comics/pop culture trade rag ICv2. Milton Griepp of ICv2 was the moderator. Aside from hearing the slightly annoying (lispy/boyish) sound of my voice, you might learn a thing or two about what's been doing well in various comics markets, and what to look forward to. This was where I learned about the Starman Omnibus, which I read with pleasure this summer, and it cemented my desire to read Scott Pilgrim, which has become a teensy obsession. 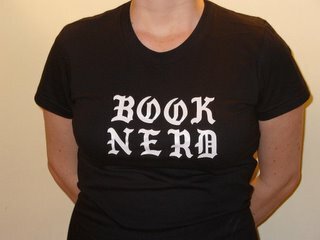 Like BEA for Brooklyn, but better: Brooklyn Book Festival coming up! Call me lazy, but I'm posting the whole darn press release from the Brooklyn Literary Council right here -- there's so much information I don't want you to miss anything. And I've just found out that your own Book Nerd will be moderating a panel at the BBF: the 3:00 slot on graphic novels at the "youth stoop" stage, with Ariel Shrag, Ivan Velez Jr., and Brian Wood. Hope to see you there! On Sunday, September 14, Brooklyn Borough President Marty Markowitz, the Brooklyn Literary Council and Brooklyn Tourism host the annual Brooklyn Book Festival, a huge, free event presenting an array of literary stars and emerging authors who represent the exciting world of literature today. The Brooklyn Book Festival is one of America’s premier literary and literacy events—a hip, smart, diverse gathering attracting thousands of book lovers of all ages. The festival is organized around themed readings and devoted to timely and lively panel discussions. The inclusion of top national and international authors and new partners has expanded the festival’s reach while continuing to celebrate and enhance Brooklyn’s contemporary and historic literary reputation. Confirmed authors include Joan Didion, Richard Price, Jonathan Lethem, Dorothy Allison, Russell Banks, A.M. Homes, George Pelecanos, Terry McMillan, Jonathan Franzen, Susan Choi, Esmeralda Santiago, Thurston Moore, Paul Beatty, Jacqueline Woodson, Chuck Klosterman, Jimmy Breslin, Pete Hamill, Ed Park, Pico Iyer, Gail Carson Levine, Cecily von Ziegesar, Chris Myers, Jane O’Connor, Jon Scieszka, Mo Willems and many more. The 2008 Brooklyn Book Festival Best of Brooklyn Inc. (BOBI) award recipient will be Brooklynite Walter Mosley, one of the most versatile and admired writers in America today. 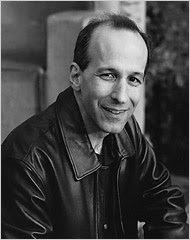 Widely recognized for his crime and detective fiction, he is the author of more than 29 books, including his bestselling series featuring the hard-boiled detective, Easy Rawlins. His work has been translated into 21 languages and includes literary fiction, science fiction, political monographs, and a young adult novel. The festival boasts five outdoor stages in Borough Hall Plaza and Columbus Park, as well as “Reading Rooms” inside beautiful, historic Borough Hall and nearby at the Brooklyn Historical Society and St. Francis College auditorium. An outdoor literary marketplace will include more than 140 booksellers, publishers and literary organizations. Young adults and young adults at heart are in for a special treat. The Brooklyn Book Festival caters to the facebook set with hip panels on topics from graphic novels to fantasy and wildly popular teen “glamour fiction” at the “Youth Stoop” stage. Children of all ages will also be entertained at the Target “Children’s Area,” whereby kingpins of children’s lit like Mo Willems and Jane O’Connor will read from their work. Again this year, beautiful, collectable Brooklyn Book Festival bookmarks will be available at all branches of the Brooklyn Public Library and most independent bookstores. The 2008 Brooklyn Book Festival is an initiative of Brooklyn Borough President Marty Markowitz presented by Brooklyn Tourism and the Brooklyn Literary Council. Target is a major sponsor of this year’s Festival, and Time Out New York will once again serve as the event’s media sponsor, and WNYC is the radio sponsor. 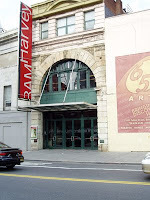 Cultural partners include BAM, Brooklyn Historical Society, Brooklyn Public Library, Housing Works Bookstore Café, PEN American Center, National Book Foundation, and Words Without Borders. Programming partners are The Nation and The New York Review of Books. Following is a complete list of confirmed authors to date. As programming information is updated, check www.visitbrooklyn.org. Also visit myspace.com/brooklynbookfestival and the Brooklyn Book Festival Official Site. For photos of the Brooklyn Book Festival, visit www.flickr.com/photos/brooklynbookfestival.